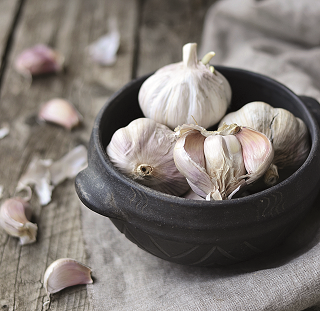 “Garlic is a natural antifungal and antibacterial,” says Jennifer Young, author of Recognise Yourself, the beauty and wellbeing guide for those affected by cancer and founder of www.BeautyDespiteCancer.co.uk. “Mushrooms can have ‘magical’ powers when it comes to immunity,” says Catalina Fernández de Ana Portela, a mycologist and co-founder of Hifas da Terra (www.hifasdaterra.co.uk). 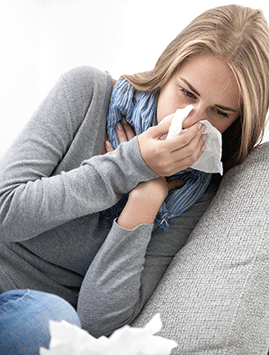 “Turmeric is a definite must for inclusion for fighting off nasty colds and flu,” says Hala El-Shafie, a consultant nutritionist with www.nutrition-rocks.co.uk. “Ginger is a superfood and it is great to add to your diet in these cold winter months,” says Steve Bessant, nutritionist and co-founder of The Coconut Collaborative (www.coconutco.co.uk). “It possesses an amazing ability to build immunity, reduce inflammation and it’s great for digestion. It contains several health-promoting essential oils, zingerone, shogaols, and gingerols. These oils are powerful anti-bacterial, anti-viral, anti-fungal and anti-parasitic agents. Due to the warming properties of ginger, it improves your blood circulation. Increased blood flow will improve the delivery of vitamins, minerals and oxygen to your body’s cells”. To make a simple ginger tea, bring a cup of water to the boil and add ¼ teaspoon of ground ginger and ¼ teaspoon of ground turmeric. Reduce the heat and simmer for 10 minutes before serving with some coconut milk and raw organic honey. “Natural cultured yoghurt contains strains of good bacteria (probiotics) that help to replenish the beneficial bacteria found within our digestive system,” says Marianna Sulic, a nutritionist with Udo’s Choice (www.udoschoice.co.uk). “Even a mild deficiency of zinc has been shown in copious studies to undermine the efficiency of the immune system,” says Fiona Kirk, author of Diet Secrets Uncovered (www.fionakirk.com). Prepare a salad from baby spinach (1mg zinc per 100g) and other leaves, top with lightly-sautéed grass-fed beef or lamb (10mg zinc per 100g) or free-range chicken (2mg zinc per 100g) or fresh crab meat (7mg zinc per 100g). Scatter a good handful of toasted pumpkin and sesame seeds around (10mg zinc per 100g) and drizzle a tasty dressing over the whole lot (heated through just before serving).